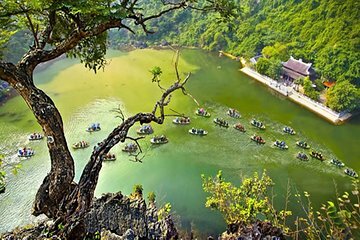 This day trip from Hanoi provides a comprehensive look at Hoa Lu that includes bicycling, cooking, fishing, and a guided tour of the complex. Get an introduction to the history of two top destinations followed by activities that provide insight into local Vietnamese culture. Lunch and a boat trip to the caves of Trang An add value. Hotel transport from the Old Quarter makes this a convenient option.